I am back again..But before that I would like to thank you all on my mixed media art journal. And hope you did take part in Unstampabelles October Challenge. If you haven't, there is still time. Click HERE. And I would also like to welcome Karthika And Shivani for joining us. 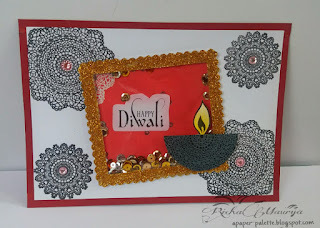 To make this card first I stamped mandalas from the beautiful lace stamp set from Itsy-bitsy on a white card stock and heat embossed it. Then took a smaller cardstock and stamped it with white ink in such a way that it overlapped the Black mandalas in the BG. Heat embossed it and painted it pink. Made the shaker part and added a dia cutout from heat embossed mandala on a black cardstock. The sentiment is a printout. Attached the main cardstock to a maroon one. Finally added some blings. 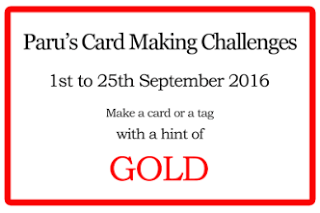 Lulupu-Challenge #66- Bling a ding with a stamping twist! Hope you liked the card. If so do leave some love. Your appreciation means a lot to me. 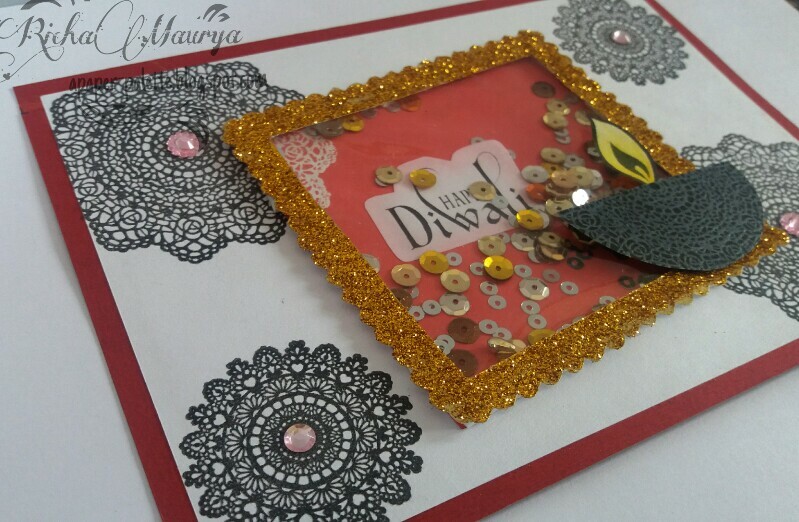 Gorgeous card Richa! Love the shaker element and beautiful mandala designs all over! Diya is so pretty! Thanks for sharing with us at ICR! Thank you Priyanka..Nice to see as DT.. 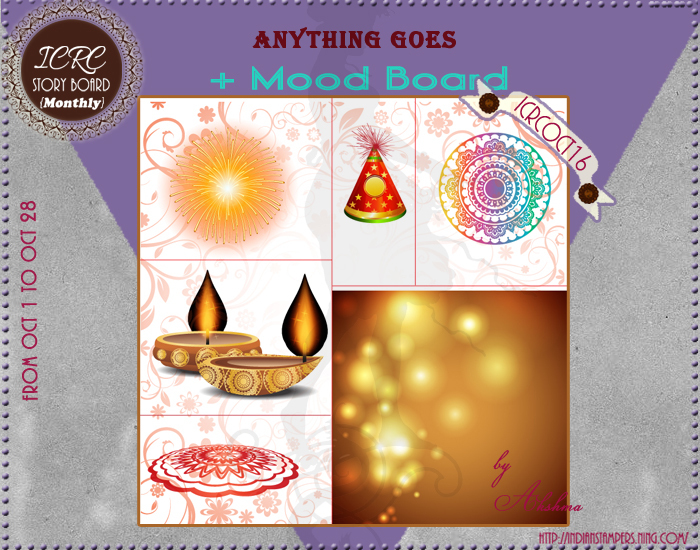 Thank you Pooja for dropping by..
What a fun way to celebrate Diwali! I love shaker cards! This is very pretty! I like the mandalas in the background - gorgeous! Thanks for joining us at Lulupu .! 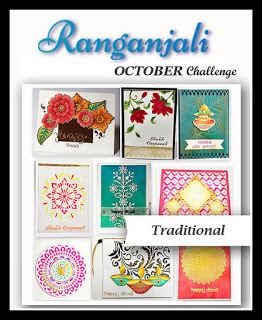 Fabulous Shaker card Richa.Thanks for playing along with ICR. Beautiful shaker card! Love your design! Thank you for joining us at CWS Challenge. Hope to see you again! Great card, Richa! Shaker cards always look very festive! Beautiful creation. 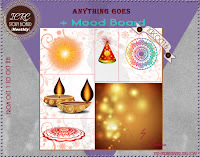 Thank you for playing with us at Cards Und More Shopblog.